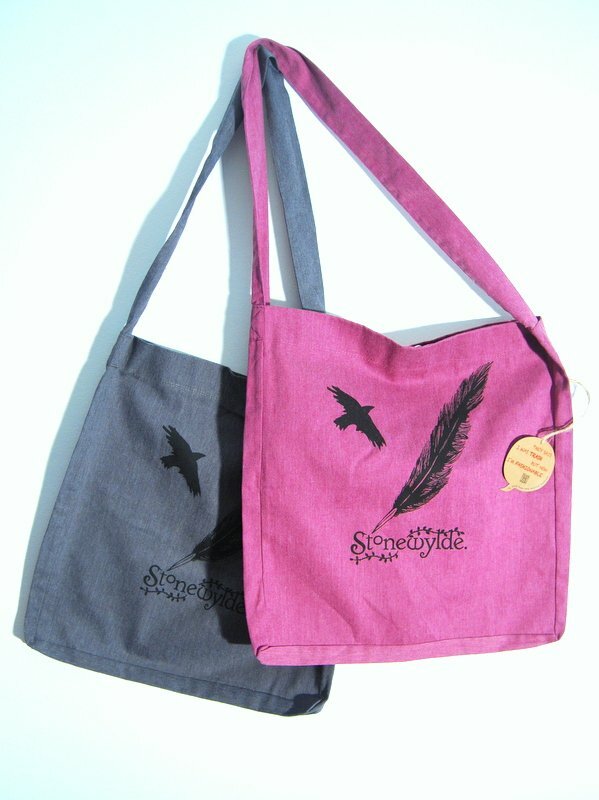 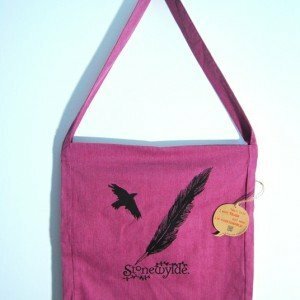 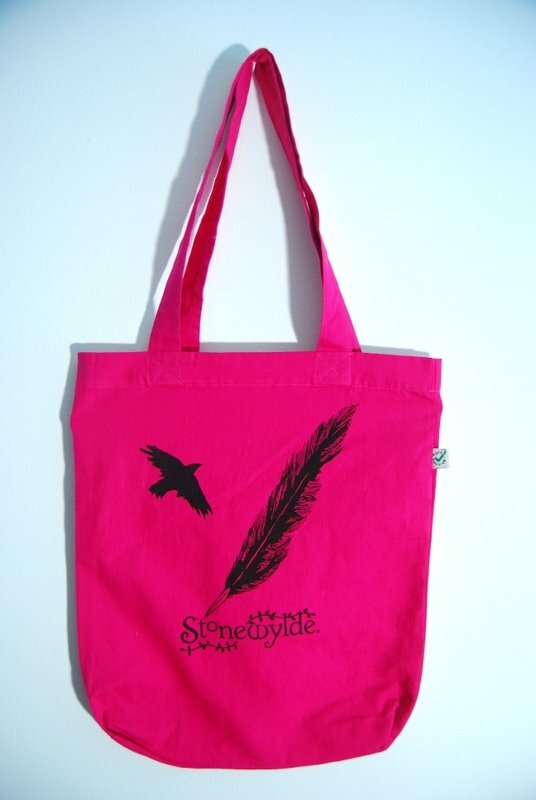 The latest Stonewylde tote bag with crow and quill design comes in a variety of gorgeous colours, with two handles. 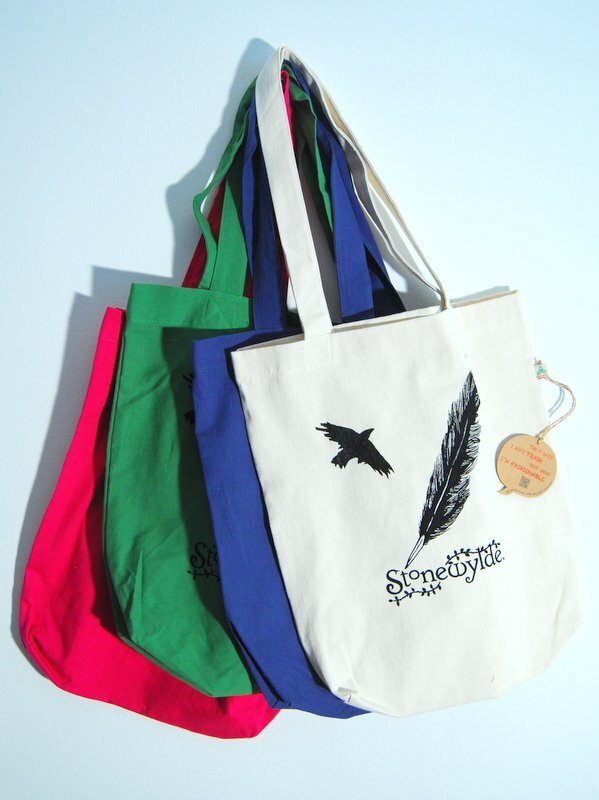 In keeping with the Stonewylde ethos, these bags are EarthPositive® sourced. 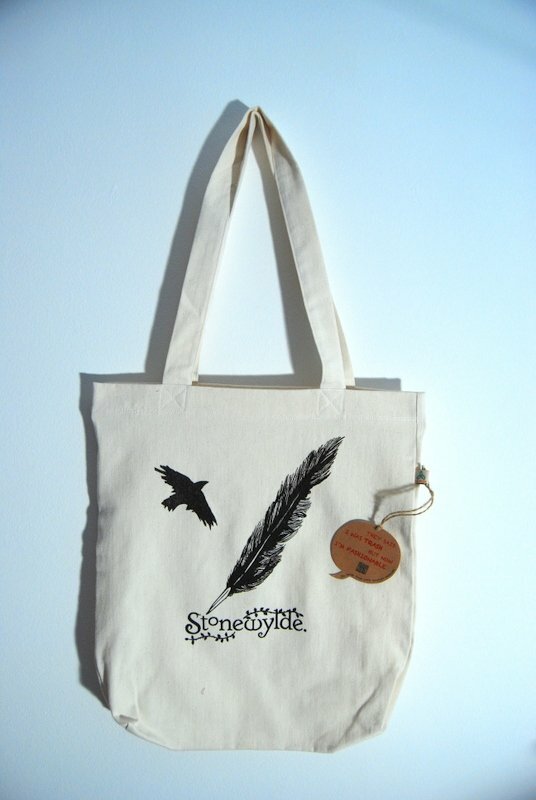 Carry your Stonewylde bag with pride, knowing it has been ethically sourced and organically produced. 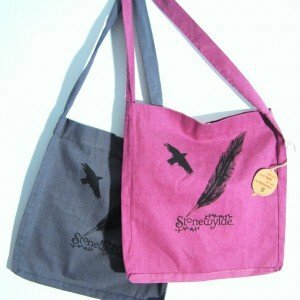 The printing is done using water-based inks, at a small screen-printing co-operative in Somerset. 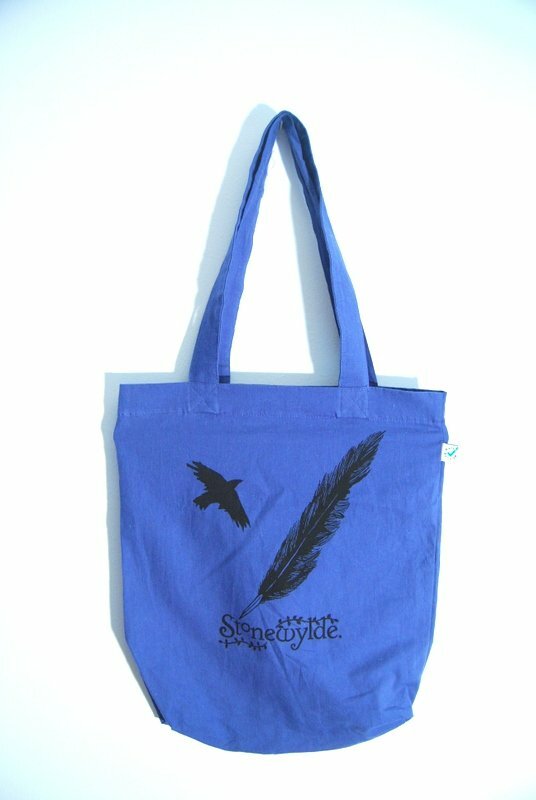 I am going to use the bag for everything! 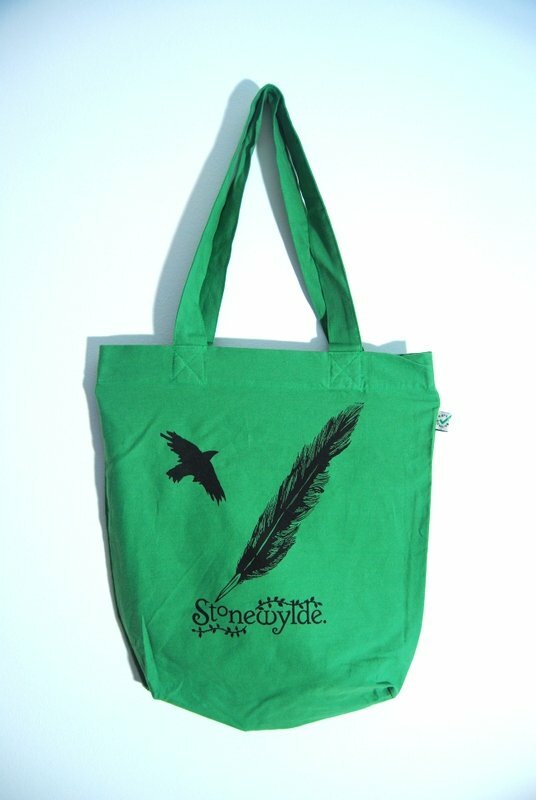 It feels like it came right from the Stonewylde itself, it makes me feel as though I was/am there, inside the story!